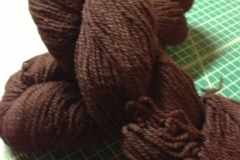 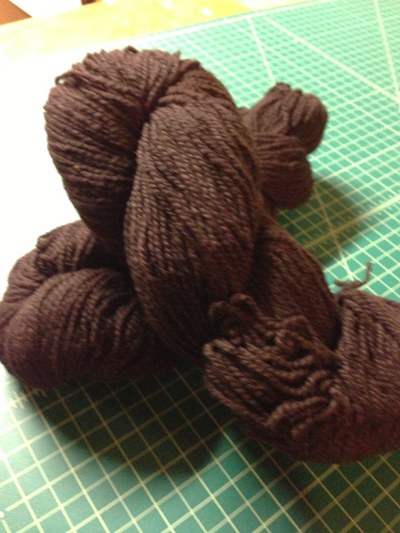 The yarn is a good sturdy yarn, which softens and blooms on soaking. 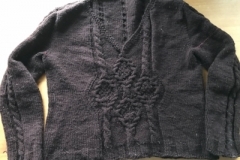 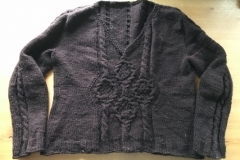 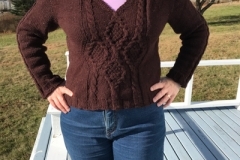 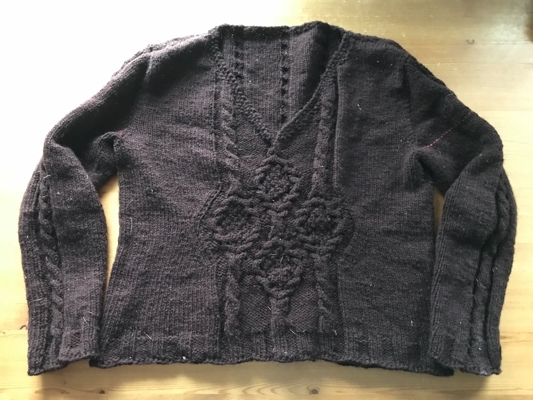 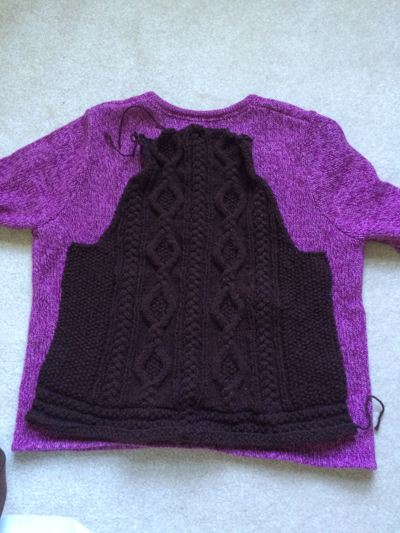 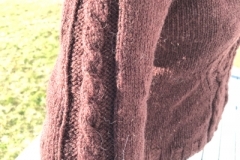 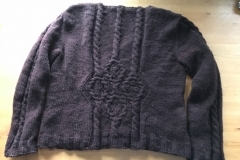 I wanted a cable sweater; I thought initially of a cardigan/jacket, and started the “Plaits & Links” cardigan. 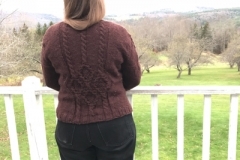 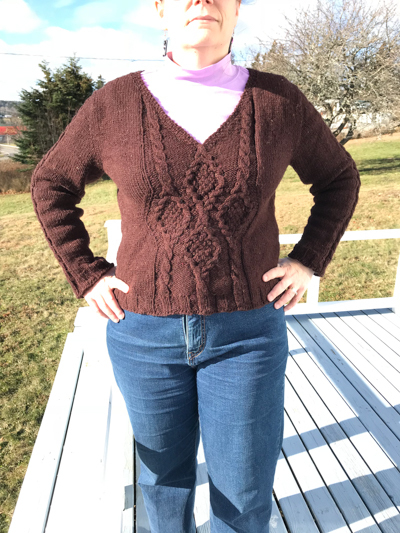 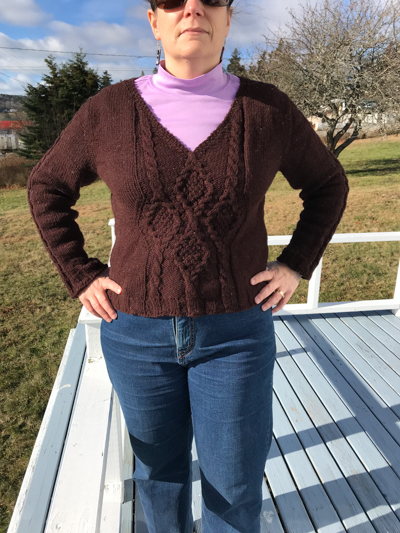 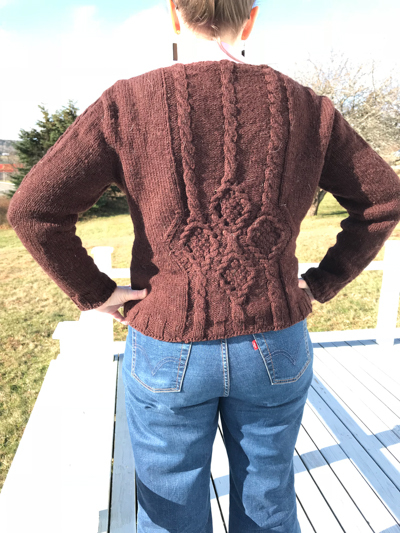 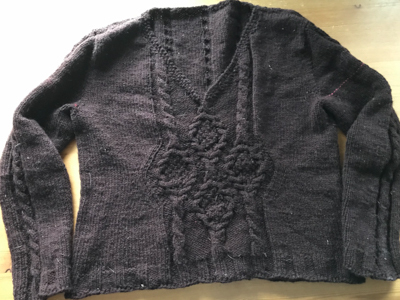 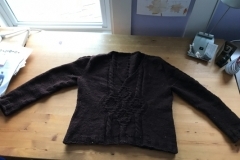 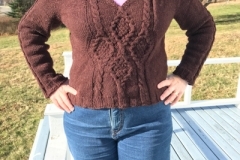 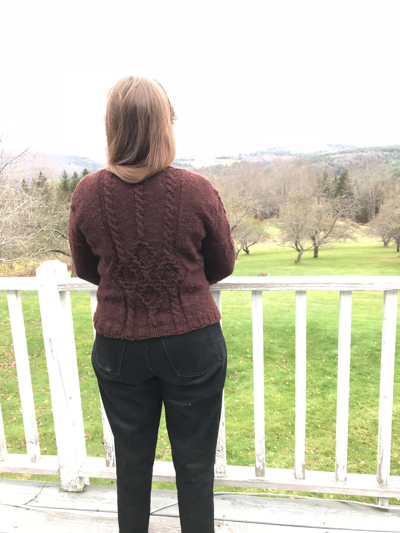 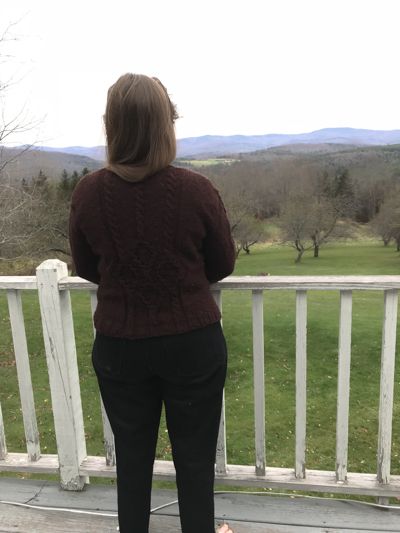 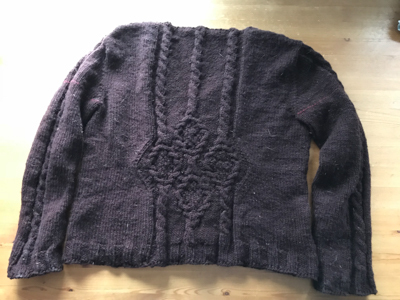 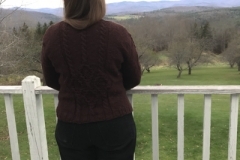 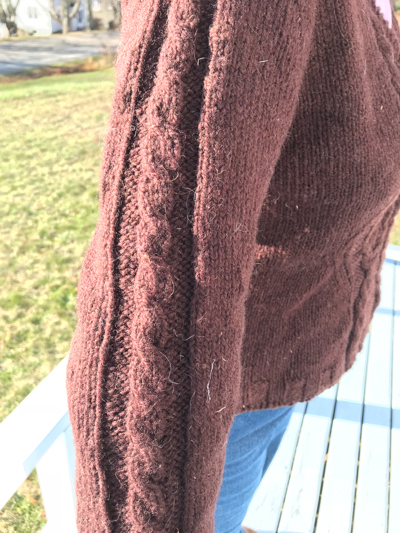 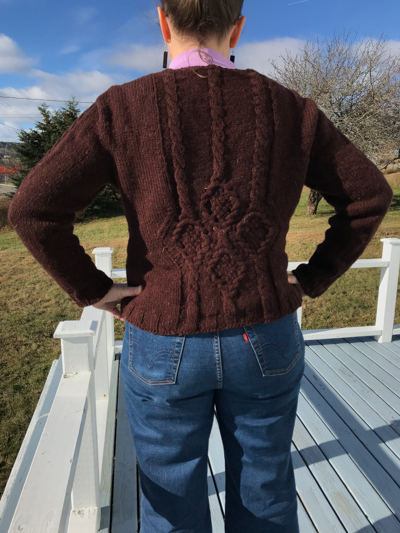 However, it turned out I didn’t have anything like gauge (which I determined after I’d finished the back piece — one of the pictures is the back piece against a sweater that actually fits, to show how far off it was). 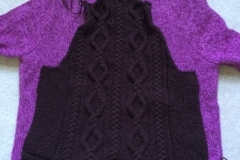 That means it’s a bit bigger than the pattern in width (but still closest to the size I was knitting than any other), and just an ooch shorter. 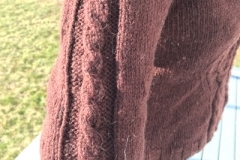 Pretty close, IMO.